The United Kingdom has a long history of fishing, reflecting its position as an island with a relatively long coastline and its proximity to the productive fishing grounds of the European continental shelf, notably the North Sea, the English Channel and the West of Scotland. The UK fisheries are heterogeneous and this is reflected in a complex fleet structure. The shape of the modern UK fleet is the product of technological and market changes together with political developments, in particular the loss of access to traditional distant water grounds (particularly Iceland and Greenland) in the 1970s and the development of the Common Fisheries Policy (CFP) by the European Community (EC - which the UK joined in 1972). Under the CFP (see below) there have been national quotas for most stocks since the early 1980s, coupled with a succession of fleet reduction programmes (the so-called MAGPs or multi-annual guidance programmes). There are currently just over 8000 fishing vessels in the UK, although nearly three-quarters of these are inshore boats under 10m in length. Table 1 shows the trend in vessel numbers for the period 1994 to 1999 by vessel type (the "sectors" shown correspond to the classification used by the EC for measuring fleet size). The contraction of most of the over-10m sector of the fleet in terms of number is not matched by an equivalent decrease in capacity as vessels have become bigger and more powerful, particularly in the pelagic, beam trawl and demersal trawl sector. Hatcher and Read (2001) consider the changes in fleet capacity in the context of the UK's attempts to comply with MAGP targets. Employment in fishing has declined somewhat during the 1990s from around 21 000 to 18 000 but most of the decline has been in part-time employment. Full-time employment in fishing has been rather stable in recent years at around 15 000 positions. Tables 2 and 3 show the total landings by weight and (nominal) value made by UK vessels during 1993-1999. Cod, haddock and whiting are the main whitefish species for UK vessels and together make up about 45% of total demersal landings by weight and 36% by value. Other species landed in large quantities include ling, anglerfish, plaice, sand eels and blue whiting. Although classed as demersal the latter two species are fished by pelagic vessels and are the only species targeted for reduction to meal. High-value demersal species caught in smaller quantities include sole, hake and megrim. Herring and mackerel account for roughly 80% of pelagic landings by weight and value. The most important shellfish species are Nephrops (Norway lobsters, or Dublin Bay prawns, or scampi - which now rival cod as the most valuable catch), crabs and scallops which together account for nearly three-quarters of the value of shellfish landings. An increasing proportion of landings by UK vessels are made into ports in other EC or European Economic Area countries. In 1997 around half of all catches of herring and mackerel were landed abroad (mainly into Norway and Denmark) as were UK catches of hake (into Spain) and plaice (into the Netherlands).1 Overall some 38% of UK landings were made into non-UK ports. Scotland accounts for 70% by weight and 60% by value of UK landings. The majority of the Scottish fleet operates from the East Coast ports of Fraserburgh, Peterhead and, to a lesser extent, Aberdeen, with the Shetland Islands an important base for the pelagic fleet. The major activity of the Scottish fleet is demersal trawling for both whitefish and Nephrops, and pelagic trawling for species such as herring and mackerel. Scallop dredging is locally important around Southwest Scotland and the Isle of Man. Scottish vessels primarily operate in the Northern North Sea (ICES area IVa) and the West of Scotland grounds (ICES area VI). There has been considerable development of the Scottish fleet during the 1990s with significant investment in new vessels and technology. Major advances that have had an impact on the efficiency of the fleet are the development of twin-rig and pair trawling. The rest of the UK fleet is spread throughout England, Wales and Northern Ireland. The Northern Irish contribution is fairly small, and although locally important, there are only four ports with sizeable landings. The fishing fleet in Northern Ireland has contracted significantly since the early 1990s with a 27% decrease in vessel numbers. A similar contraction has been seen elsewhere in the UK. The traditionally important ports of the Humber region on the Northeast Coast of England have been in steady decline, and although still very important in terms of trans-shipment and processing, the catching sector is barely represented in the local ports. The Southwest of England, particularly Cornwall, has also seen reduced numbers of vessels during recent years, although the value of landings remains high in the region. The fleet is diverse in its characteristics and there are fishing methods that are particular to certain regions. The predominant fishing methods in the Southwest are beam trawling in the English Channel for sole and plaice, gill netting and trawling for high-value demersal species such as hake and megrim, and scallop dredging. The main markets are those of Newlyn, Brixham and Plymouth. Small-scale demersal trawling, gill-netting and crab/lobster potting is predominant in the English Channel. The North Sea fisheries of the East Coast include beam trawling for plaice and sole, but the predominant method is demersal trawling for whitefish such as cod and haddock. Also of great importance is the North Sea Nephrops fishery, targeted mainly by small-scale demersal trawlers of less than 24m in length. The important markets are Lowestoft (for beam trawlers), Grimsby, and to a lesser extent Scarborough and Whitby. The United Kingdom is a member of the European Community and its marine fisheries must therefore be managed within the framework of the EC's Common Fisheries Policy.2 Since 1983 the CFP has provided for the setting of annual total allowable catches (TACs) for most commercially important stocks within the overall zone of extended fisheries jurisdiction created by the 200-mile limits of those Member States bordering the North East Atlantic and adjacent seas. The TACs are divided into national catch quotas according to an established allocation mechanism that gives each Member State a fixed percentage share each year (although a number of intergovernmental quota swaps are regularly and routinely undertaken). Fishing opportunities in the waters of third countries and in international waters (such as the NAFO area in the North West Atlantic) are negotiated by the European Commission on behalf of the Community and are allocated to Member States in a similar way. While national fleets fishing in Community waters are subject to certain common controls under the CFP (in particular technical conservation measures such as minimum mesh sizes) each Member State is able to determine the means for allocating its quotas to their national fleet and for regulating quota uptake.3 EC rules nevertheless require all vessels of 10m or over in length to keep a logbook of their activities, which must include details of the quantities of TAC species caught and retained on board, and the time and location of capture.4 Inshore vessels less than 10m long are not obliged to carry logbooks but Member States are still required to monitor their landings to ensure that national quota limits are respected. In the UK fishing rights are conferred on UK-registered vessels by means of a licensing system. The right to fish is dependent upon possession of a licence appropriate to the type of vessel and the species targeted. As a general rule, quantitative restrictions on catches are imposed as licence conditions which, in the case of vessels not in membership of a producers' organization (see Section 2.2), are varied as necessary (often on a monthly basis). Licences are issued annually by the Government Fisheries Departments5 but licence entitlements can be transferred between vessels (subject to certain restrictions) and between ownerships. The licensing scheme has developed considerably in breadth and complexity since 1984 when the number of over-10m vessels authorized to fish for the most heavily exploited quota stocks was first restricted by means of "pressure stock" licences (Appendix I describes the development of the system in some detail). The current licence structure limits not only the total number of vessels but also their size and power and the extent to which effort can be shifted between stocks and between fishing methods. Within these main licence categories there are a number of specific licence types which apply to particular fisheries or which authorize fishing using certain types of vessel or gear. Category A or B beam trawl licences are required, for example, for the use of beam trawls by vessels over 10m in the North Sea and in Area VII (the English Channel and Western Waters). Specific licences are also required for the use of scallop dredges. There are also special Category A licences for pelagic purse-seiners and freezer-trawlers. Since 1993, when restrictive licensing was finally extended to all vessels 10m and under, no new licences have been issued and new vessels must be licensed by the transfer of an appropriate licence from another vessel, if necessary from another ownership. The once complex rules governing the transferability of different types of licence7 were simplified by the introduction of the "capacity unit" system in 1990 (see below) and by the structural changes made in 1995, since when all licence types have been more or less freely transferable between vessels and between ownerships. there is an exemption, subject to certain conditions, for distant water vessels. The total numbers of the main types of licence issued to vessels in the UK fleet in 1997 and the corresponding VCU totals are shown in Table 4. Linked to the licensing scheme is a system for regulating the uptake of national quotas. This involves the allocation of percentage quota shares each year mainly to groups of vessels, although some individual vessel allocations are made by Government in the case of pelagic and distant water stocks. Until recently all these allocations were based on vessels' recent patterns of catches, or their track record of landings, during the previous three years (the reference period for the majority of stocks) but in 1999 this was replaced by a system of fixed quota allocations or FQAs (see below). In the case of the over-10m fleet, each vessel in effect has a set of notional individual quota allocations each year. By aggregating these individual notional quotas, group allocations are made by Government to Producers' Organizations (POs) - vessel owners' associations recognized under EC law12 - which are then allowed to manage those allocations as they wish, for example, by means of monthly landings limits or individual vessel or company quotas.13 There are 20 recognized POs in the UK representing roughly two thirds of the over-10m fleet. The POs account for some three quarters of total landings by UK vessels and over 95% (by weight) of UK quota allocations in Community waters. The quota shares allocated to vessels not members of a PO (the so-called "non-sector") are managed directly by the Government Fisheries Departments using a system of landings limits attached to the vessels' licences. Uptake of the quota shares reserved for the inshore (10m and under) sector is not normally regulated unless the level of estimated landings dictates an early fishery closure. Appendix II describes the development of this system in more detail. The system of rolling track-record based allocations became increasingly abused by fishermen, for example, by recording catches in areas in which they had not fished in order to build up quota entitlements in future years. From 1999 quota allocations were fixed rather than re-calculated each year on the basis of the previous three years' track records. The allocations for 1998 and 1999 were based on track records over the period 1994-1996 that was the reference period for the 1997 allocations (in order to avoid any inflation of track record over a qualifying period). The "Fixed Quota Allocations" (FQAs) for 2000 and thereafter, in theory at least, should be the same as the 1999 allocations on a percentage basis, i.e. adjusted only according to changes in the UK's national quota allocations. The 1999 track-records were converted into fixed quota "units" of 100kg and attached to the vessels' licences. The units, originally "worth"100kg of fish per year, will in practice be subsequently worth more or less depending on changes in national quotas. Individual quota allocations are still not be divisible and remain notional except for members of POs operating an IQ system. However, as we will see, there are signs that a further evolution towards a de facto ITQ system is likely. As described in Appendix 1, various types of licence have been freely traded since they were introduced, except where transferability was explicitly restricted or removed. Before 1995 individual landings track records were normally attached to the vessel rather than the licence, except where a licence was transferred onto a new vessel (or at least a vessel new to a particular fishery) or where a licence aggregation was undertaken (in which case the track records of the old licensed vessels were aggregated onto the new vessel). From 1995, however, track records were formally attached to licences and now FQAs are similarly attached to the licence. The most significant advance in quota tradeability came not from developments in the licensing system but from changes in the rules governing quota swaps between POs. As the quota management system developed, POs were allowed to swap quota between themselves in order to give some flexibility to the system. Initially all swaps had to balance in terms of "cod equivalents" (by value). This was soon relaxed to allow non-balancing swaps, and then in the early 1990s to allow "gifts" i.e. one-way movements of quota. Although all quota movements are subject to Government approval, in practice POs can now trade quota between themselves in more or less any quantity and the Government takes no interest in any financial transactions that may accompany quota exchanges or gifts. Since quota can be traded between POs, it can effectively be traded between a member of one PO and a member of another PO, either "permanently" (a straight quota sale) or on an annual lease basis. This sort of trading in quota between individual fishing vessel owners in POs began in earnest in 1995. Clearly it was only the relatively small number of POs operating individual quota systems whose members could take advantage of this possibility. Under the old allocation system based on a rolling three-year reference period, a sale of one tonne of quota from a vessel in PO `A' to a vessel in PO `B' would involve the transfer of one tonne from PO `A' to PO `B' in year one, 0.67 tonnes in year two and 0.33 tonnes in year three. In year four the transaction would be complete, since PO `B' would now receive the entire extra tonne of quota in its allocation. For deals between vessels within the same PO, the same time would be needed for the track records to adjust. Under the FQA system as presently configured, however, a sale of one tonne of quota necessitates the transfer between the POs, or between vessels within the same PO, of one tonne of quota each year in perpetuity because no adjustments of vessels' FQAs are permitted. Clearly there are problems when a particular licence, with its attached FQA, is purchased by a third party, aggregated with another licence or transferred onto a vessel in a different PO. The Government unwittingly encouraged the industry to accept quota trading in 1996 when it allowed the track records of vessels removed from the fleet in the final round of the 1992-1996 decommissioning programme to be retained or transferred (sale) by their owners. This attempt to maximize the number of licences that could be bought out by the Government under the tender-based decommissioning scheme, allowed many owners to "top up" their quota entitlements and to provide a stimulus to quota trading. This separation of quota and licences also allowed several POs operating pool systems to buy quota from member vessels that accepted decommissioning payments, preventing quota from leaving the PO. In several cases, purchase of these decommissioned track records provided the stimulus for POs to move to a "pool plus" system, whereby individual members purchased fish for themselves, which they were allowed to catch in addition to the monthly limits available to all members of the PO. During the move to FQAs in 1998 the Government allowed all outstanding quota deals to be resolved with a "one-off " reallocation of quota units. The POs were given a number of units that reflected the existing track records of their membership, but these could be transferred to other POs or re-allocated amongst the licences of the membership in any way the PO chose. This allowed all outstanding deals between and within POs to be completed, but the Government insisted this did not constitute a mechanism for future re-allocations. Since 1999 the amount of quota trading has risen dramatically. It is now routine for a fisherman to retain his own quota units when buying a new vessel, and quota units, licences and vessels are now normally traded individually rather than together as a package. A number of quota brokers have established themselves, buying up licences or licensed vessels and "asset stripping" them, supplying combinations of quota units or VCUs to fishermen who are looking for extra quota or greater vessel capacity, for example if they plan to install a more powerful engine. In the main these brokers have had previous involvement in the catching sector, and many started trading while working within a PO. It is hard to envisage how the larger brokers could operate without the assistance of at least one PO, given that quota can only be transferred via POs and not directly from vessel to vessel. All deals between brokers and owners, or owners and owners, require the signature not only of the buyer and seller, but of their respective POs as well. At the time of writing the fishing industry is now in a similar situation to the one in 1998. A large number of deals is accumulating, requiring an ever greater number of transfers between POs in order to honour those deals. Although in some ways the transactions are simpler under the FQA system, problems are envisaged because of the continuous annual transfers required. For example, a bank holding the assets of a fishing enterprise that has gone into bankruptcy could refuse to allow quota units to be passed on to a third party and insist instead that these be used for payments towards its outstanding debts. Some of this uncertainty would be removed if industry requests for an annual re-allocation of units were accepted by the Government. Most of the POs argue that this would not constitute a real move towards an ITQ system proper, as all quota movements would continue to take place via the POs. A significant feature of the UK quota management system is that it is essentially an informal arrangement between Government and industry. Legislation provides for the issuing of fishing licences and for the attachment of certain conditions to those licences including quantitative restrictions on landings. There is no legal basis for the notional individual quota allocations which are used to calculate group allocations, they are merely an administrative tool used by the Government Fisheries Departments in the exercise of the Government's discretionary right to issue licences in order to regulate sea fishing. Fishermen have no legal right to receive a licence and certainly no legal title to any share of national quotas. The Government also retains the right to create additional quota units at its discretion. Thus although quota units are traded as very valuable assets, their legal status appears extremely weak. A legal test has yet to arise, but the only argument in law for a fisherman's right to quota might derive from the notion of "legitimate expectations" in common law. Enforcement of fishery regulations is the job of the Sea Fisheries Inspectorates of MAFF (in England and Wales), the Scottish Fisheries Protection Agency (SFPA) and the Department of Agriculture for Northern Ireland (DANI). For England and Wales enforcement at sea is undertaken by the Royal Navy, while the SFPA has its own vessels and aircraft, and DANI has one patrol vessel. There is no specific offence of landing over-quota fish, but there are offences relating to non-compliance with licence conditions and to the inaccurate completion of vessel logbooks and landings declarations. Vessels not belonging to a PO commit an offence if they land more than the quantity specified in their licence within a given month. Clearly accurate recording of landings in excess of those permitted would be picked up directly by the Fisheries Departments and sanctions could then readily be imposed. In practice therefore vessels landing in excess of their quota allocations are likely to falsify the required documentation. No such licence offence can apply to PO members since their licences contain no specific landings restrictions. The POs are all either registered mutual societies or companies and their quota management rules are therefore privately rather than publicly enforceable. In theory a PO could request that the Government take action against persistent offenders, for example by revoking their licences, but in practice the Government would be extremely reluctant to become involved in the legal disputes that would undoubtedly follow. If PO members exceed their restrictions or allocations they are merely infringing the private rules of their PO.14 In practice violations by PO members are likely to be hidden from both the Sea Fisheries Inspectorate and the POs' own officers by falsifying landings declarations, which are monitored by the POs as well as by the Fisheries Departments. Within the POs a number of penalties may be applied to members who are observed to exceed their quota allocations. In some POs the member is fined the entire value of the excess catch, the money levied being used to offset the POs normal running costs. Other POs may either insist that an individual retrospectively rents additional quota to cover his overshoot, or they will rent in the additional quota required to cover the excess landings themselves, and pass the rental charges onto the member. The acceleration in quota trading has received a mixed reception within the fishing industry. The UK Fisheries Minister acknowledged in 1999 that the total value of quota units attached to licences during the move to FQAs "exceeded £1 billion" and those able to realize the value of their quota naturally wish to retain their rights to it. By way of contrast, fishermen who largely fished for non-quota species during the final quota reference period of 1994-96, new entrants and vessel owners who for some reason lost fishing time in this period see the permanent loss of quota as unfair and discriminatory. The rise of the quota brokers and so-called "armchair fishermen" has further angered certain sections of the fishing industry. The latter are a significant number of skippers, some but not all close to retirement age, who have realized that they can live off the income generated by leasing out their quota entitlements to other fishermen. Although this may have helped towards the overall reduction in the number of active vessels in the fleet, and allowed more of the remaining vessels to land all or a greater part of their catch legally, there is also considerable resentment among fishermen who did not receive such a valuable endowment and who are now forced to rent quota from fishermen who no longer go to sea. There is support for some means of limiting the amount of quota that can be held by brokers or "armchair fishermen", allowing only a certain percentage of quota to be leased out, the rest either having to be caught or forfeited to the Government. A further complication is that an increasing number of local councils are assisting their local fishermen by purchasing quota, which is then leased below the market rate. In addition a small but growing number of fishermen are using personal pension plans to invest in quota units, which are then leased out to their own or to other vessels. In some cases the cost of leasing is actually charged to the vessel, meaning that the crew, who work on a self-employed basis, are forced to pay their share of the rental costs to the owner. Although ITQs do not officially exist in the UK, and in spite of opposition to the notion of tradeable quotas from many within the UK fishing industry, the de facto ITQ system that has arisen over the last few years is expected within the industry to continue to develop and spread in the future. The POs are likely to continue to argue strongly that they have a central role to play in quota management, but it has become apparent since 1998 that a majority of vessel owners within the POs favour moves to make quota trading both simpler and more widespread. Following representations by the industry at a Quota Management Working Group established early in 2000, a review of the effects of the move to FQAs has been brought forward from 2001 to the autumn of 2000. This is partly in response to a majority view within the industry in favour of an annual re-allocation of quota units, similar to the one-off exercise in 1998. The Government seems more reluctant than many within the industry to accelerate the move to what some are calling "Transferable FQAs" but appears to accept that further reallocations that reflect quota trade are now inevitable. The support for greater freedom of trade is, however, subject to several caveats. Concerns about the role of brokers and traders, as well as "armchair fishermen", has led to calls from many within the industry for a cap on the volume of trade that any individual PO can enter into. The UK Association of Fish Producer Organizations has requested a cap on the trade of unattributed quota units within POs (held on so-called "dummy vessels") with a limit on the proportion of any stock that can be transferred. The aim of this would be to ensure that only fishermen with a genuine interest in catching fish could engage in trade, and that this trade would reflect the requirements of vessels for fish, which in turn reflected the availability of fish on the grounds that the different vessels worked on. However, such regulations will probably serve to do little other than create a "paper trail" of ownership, and do little to curtail the current trade that is taking place. A further development that is expected will be to allow vessels under 10m to engage in quota trading in their own right. Difficulties in the over-10m sector, allied with much cheaper licence availability within the under 10m fleet, has seen an explosion in under-10m "rule beaters" within the last 2 years. These vessels often have a catching capacity as great as much larger vessels within PO memberships, and the increased landings they have achieved have had a marked effect on the availability of quota. In the autumn of 1999, for the first time, a monthly limit was introduced for under-10m vessels in the North Sea Nephrops fishery, and such limits are seen as inevitable in other inshore fisheries in future. The introduction of limits for these vessels has been accompanied by a realization that the larger "rule beaters" should be able to obtain the additional quotas that they require to remain profitable. As a result it appears likely that under-10m vessels will be able to join POs and purchase additional quota. As quota units can only be purchased from vessels over 10m, it appears likely that vessels under 10m will be able to increase their overall share of a stock, whilst at the same time being forced to "ring fence" this within a PO, as individual vessels under 10m are not presently able to have quota units attached to their licences. The implications for control and enforcement, however, have yet to be fully discussed. While the Government may welcome in theory the idea of allowing smaller vessels to obtain the extra quota they require on the open market, the difficulties and cost of extending full monitoring and enforcement effort to the whole of the inshore fleet may be prohibitive. The experience of the UK's quota management system provides an interesting case study of the development of tradeable fishing rights largely driven by the industry itself. Despite occasional policy "visions" the UK Government has arguably been predominantly reactive to industry initiatives and demands. There is clear and persuasive evidence here of a latent desire to trade quota, which is expressed once some form of property rights, however incompletely defined, are introduced into a fishery. The story is not yet complete, though, and expectations within the industry that some form of ITQ system proper is now inevitable are probably justified. On the other hand it is considered unlikely within the industry that the Government will give up its right, for example, to create extra quota units for vessels remaining outside the system, or that the POs will not retain their existing pivotal role in quota management. At the time of writing a joint Government-industry working group is meeting and a review of the management system and feasibility study into an ITQ system are shortly to be commissioned by the Government. Whichever way the quota management system develops in the future, it is worth noting that the Government has never attempted to extract any resource rent from the industry through quota or licence fees, nor indeed to recoup any of its management costs through charges. It has so far allowed all the returns from sales of licences and quota (initially freely given by the Government) to remain in private hands (see Hatcher and Pascoe 1998). This attitude may change if the costs of management increase significantly or if quota prices increase in a more organized and efficient market environment. Hatcher, A.C. and S. Pascoe 1998. Charging the UK Fishing Industry, Report to the Ministry of Agriculture, Fisheries and Food. CEMARE Report No. 49. University of Portsmouth. Hatcher, A. and A. Read 2001. Fishing rights and structural changes in the UK fishing industry. FAO Fish. Tech. Paper No. 412. pp 1-14. Hatcher, A. 1997. Producers' organizations and devolved fisheries management in the United Kingdom: collective and individual quota systems. Marine Policy 21 (6) pp 519-534. Before 1983 fishing licences were a requirement for UK vessels operating in the main pelagic fisheries (mackerel and herring) and demersal fisheries (cod, haddock, whiting, sole and plaice) in all areas around the UK. However, in most cases they were only required by vessels of 40ft or over in length, and with the exception of licences for the large pelagic purse- and freezer vessels, they were quite freely available. During 1983 licensing was extended to cover fishing for all the stocks subject to catch quotas (under the Community's new conservation and management system) by all vessels over 10m in length. To begin with, most licences continued to be freely available, but in 1984 the number of licences authorizing fishing for those quota stocks considered to be under greatest pressure was restricted. The so-called "pressure stock licences" (PSLs) were only issued to registered vessels which could demonstrate at least a 12-month record of fishing for one or more of the stocks concerned,16 or which already held an appropriate licence. Although restricted in number, pressure stock licences were transferable. They could only be transferred between ownerships while they remained attached to a vessel, but within the same ownership they could be transferred from one vessel to another, the only restriction initially put in place being that licence transfers from vessels under 40ft to those of 40ft and over were not permitted. For those vessels targeting other quota stocks, the required "non-pressure stock licences" (non-PSLs) continued to be issued freely to any fishing vessel on the UK register,17 while vessels under 10m in length were still not required to have a licence. In 1988, pending the implementation of new measures to reduce capacity (and with no decommissioning scheme in operation at the time), a temporary ban was placed on all transfers of licences between vessels except in cases where there was no resultant increase in either tonnage or engine power. Then in 1989 the Government indicated that it intended to employ a market-oriented approach, specifically by introducing flexible licence transfer arrangements which would also allow some measure of licence aggregation in order to "allow the fleet to modernize and adapt to changing conditions and to permit individuals to expand their enterprises while preventing any growth in the licensed fleet as a whole"19 . In the following year licence requirements were extended to include fishing for all species in all areas by all vessels over 10m and a new "miscellaneous species" licence was introduced for those over-10m vessels (mainly shellfish boats) which had not previously required a licence. As all licences were now restricted, the free availability of non-pressure stock licences for vessels under 40ft and of licences for Nephrops was ended. At the same time, transfers of licences between vessels were once again permitted under a new system of "vessel capacity units" (VCUs). Each licence was assigned a certain number of VCUs, calculated for the vessel to which the licence was attached according to a formula taking into account vessel size and power20 . Licence transfers were now allowed more or less freely, provided that there was no increase in either gross vessel tonnage or engine power, or that there was a 10% decrease in VCUs for the recipient vessel. In addition, under the new "capacity aggregation"scheme, two or more licences (which had to be of a similar type) could be transferred onto a single larger or more powerful vessel provided that the capacity of that vessel measured in VCUs was no more than 90% of the combined capacity of the "donor" vessels21 . Since 1990 the VCU "penalties" for licence transfers and aggregations have been altered a number of times, while additional restrictions have again been introduced in an attempt to make some progress towards meeting the UK's MAGP targets for tonnage and engine power. In particular, the inshore (10m and under) sector was finally restricted in 1993 and in the previous year the number of beam trawlers licensed to fish in the North Sea (Area IV) was restricted (partly because of licence acquisitions by Dutch interests wishing to gain access to UK North Sea sole and plaice quotas). In February 1996 it was announced that in addition to the existing VCU penalties, no licence transfers or aggregations would now be allowed to result in any increase in either tonnage or engine power. On the other hand, since an overall revision of the licensing system in 1995 all licences were by now fully transferable independently of vessels. When the TAC/quota component of the CFP was put into place in 1983, the UK Government had already instituted quota management arrangements for a number of fish stocks for which national quotas had previously been agreed in the North East Atlantic Fisheries Commission (NEAFC). UK vessels fishing for the Western mackerel stock and for the main herring stocks, for example, were subject to weekly or fortnightly landings limits set according to vessel length, while daily or weekly limits had from time to time been applied for cod, haddock and whiting stocks in ICES Areas IV and VI (set according to crew size). In addition, since 1980 separate allocations from the quotas for mackerel and the main herring stocks had been reserved for the relatively small pelagic freezer trawler sector. These vessels, together with the purse-seiners, were the only UK fleet sectors to come under restrictive licensing before 1984. In 1983 a much wider range of stocks became subject to quotas. As fishing effort increased over the next few years from an industry which was still expanding in domestic waters, particularly in the Area VII demersal fisheries, weekly (later monthly) landings limits were gradually extended to cover fishing for quota stocks by all vessels over 10m in length. 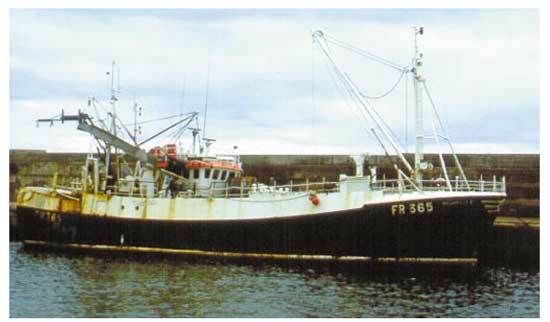 Early in 1984, however, the Shetland Fish Producers' Organization (SFPO), one of 14 POs then established in the UK, successfully applied to the Government to be given its own annual allocations from the Area IV and VI haddock quotas to manage on behalf of its members. These allocations were based on the historic share of the UK's haddock catches landed by SFPO members. Later that year a number of other POs (as well as a few large fishing firms) were given allocations from the Area IV and VI cod quotas on a similar basis, while in 1985 annual quotas were allocated to POs for Area IV/VI cod, haddock, whiting and saithe as well as Area IV herring. By the following year, most of the POs whose members were active in the North Sea and West of Scotland areas were receiving annual quota allocations for most of the stocks in these areas. Also from 1985, annual allocations from the main mackerel and herring quotas were granted to individual freezer trawlers and purse-seiners instead of parts of the quotas being reserved for these sectors as a whole. The system of PO quota allocations was extended to include quotas in the Irish Sea in 1990 and the remainder of Area VII in 1991. By this time all the UK POs were managing quota allocations on behalf of their members and the annual allocations were routinely based on the combined landings track records of each PO's over-10m vessel membership during the previous three years (calculated as a percentage of the total landings by UK vessels over the same reference period). Fishing for quota stocks by vessels not belonging to a PO, as well as by PO member vessels whose PO had not requested an allocation for a particular stock, continued to be regulated directly by the Government by means of (in most cases) monthly landings limits. Until 1995 the POs could more or less freely decide each year which quotas they wished to manage. Given the trackrecord-based allocation system, this produced some predictable results. For example, it was possible for POs to "build up" relatively strong trackrecords for particular stocks while fishing against the Government's monthly landings limits before requesting an annual allocation. Conversely, it was also possible for a PO to decline an allocation in one year if its performance in the immediately preceding three years would otherwise have meant stricter quota controls for its members than they would have faced fishing against national monthly limits. Also, members of some POs had allegedly been reporting catches as coming from areas in which they did not have quota allocations when they should have been counted against their PO quotas. To simplify the system, and to press the POs into accepting more management responsibility, in 1995 the Government obliged POs to accept allocations for all demersal species quotas (however small some of the allocations might be), although the management of pelagic quotas remained optional. While the Government retains overall responsibility for quota uptake at the national level, the POs decide on the means by which they manage their quota allocations. They can also undertake quota swaps with other POs at any time as well as with those companies that receive individual vessel allocations of pelagic quotas. To begin with, all such swaps had to balance in terms of "cod-equivalents"22 but in 1993 this restriction was removed, although some exchange of fish still had to take place. In 1996 quota "gifting" was allowed for the first time (with the financial terms of the transactions, if any, being a matter for the POs). In 1994 the Government introduced a provision to enable POs to retain the landings track record of a member vessel whose owner would agree to surrender his licence: in practice the PO would pay financial compensation to the owner for effectively decommissioning his vessel. A PO could arrange to "ring-fence" the additional landings track record, so that if any of the remaining member vessels subsequently leave the PO, that proportion of their track record which is attributable to extra quota obtained in this way could be retained within the PO. This facility was used in one or two cases, but rapidly became redundant as the value of licences grew. The move to fixed quota allocations in 1999 (described in the text) was largely industry-driven. The main motivations were to allow more flexibility in patterns of fishing without jeopardizing quota allocations in the following year and to end the temptation for vessels, either individually or in groups, to artificially inflate landings records in order to sustain quota shares. Note that individual vessel allocations continue to be granted directly by the Government only to purse-seiners and freezer trawlers in respect of the main mackerel and herring stocks (where the vessels are not in membership of a PO taking a quota allocation for these stocks). While PO allocations are normally only revised at the beginning of each year, the big pelagic vessels can transfer their notional allocations at any time between POs or between a PO allocation and an individual allocation. Since 1990 these vessels have also been able to arrange for up to 70% of their individual allocations to be fished by other similar vessels within the same ownership or within the same PO. 1 In the case of hake and plaice the foreign landings reflect the foreign ownership of a significant part of the UK demersal fleet which is facilitated by the terms of EC membership. 2 The CFP has four principal components: a common structural policy, a common market organization, a resource conservation and management system, and an external policy (concerned with fisheries agreements with third countries). The common structural policy and the common organization of the market both date back to 1971 (two years before the UK joined the EEC). In addition to provisions for common structural actions (which include aids for fleet renewal as well as capacity reduction programmes) the structural regime lays down certain fundamental conditions for fishing, notably the principle of equal access of Member State's fishing fleets to each other's waters (beyond the six-mile territorial limit). The common market organization provides for a system of marketing standards, minimum prices and intervention arrangements (with compensation for products withdrawn from the market at minimum prices). In 1977 all the EC Member States in concert extended their fishery limits out to 200 miles (except in the Mediterranean). Negotiations then began on a system to regulate catches within Community waters. Because of the difficulty of reaching agreement on national shares of the TAC the "conservation and management" system was not finally adopted until 1983. 3 Article 9 of Council Regulation (EEC) No 3760/92 establishing a Community system for fisheries and aquaculture (Official Journal of the European Communities, No L 389, 31.12.92, p.1). 4 Article 6 of Council Regulation (EEC) No 2847/93 establishing a control system applicable to the common fisheries policy (Official Journal of the European Communities, No L 261, 20.10.93, p.1). 5 In the UK responsibility for the day-to-day management of fisheries is shared between the Ministry of Agriculture, Fisheries and Food (MAFF - for fisheries in England), the Agriculture and Fisheries Departments of the Scottish Executive, the Welsh Assembly, and of Northern Ireland. MAFF, however, remains the "lead" Department and takes overall responsibility for national policy and international responsibilities. 6 There are also Category "D" licences which authorise distant-water fishing. 7 Numerous rules to restrict transferability of licences between vessels and between ownerships were introduced in the period 1984-1994 in order to regulate pressure on certain fisheries and in addition to control the growth of foreign ownership in the UK fleet. 8 (overall length in metres x maximum breadth in metres) + (engine power in kW x 0.45). 9 The principal tool for achieving reductions in the capacity of the UK fleet under the MAGPs, however, was a series of annual decommissioning schemes from 1993-1997. These were operated on a competitive tender basis, with applicants required to submit sealed bids for the amount of Government compensation they would accept in order to scrap their vessel and surrender their licence entitlement. The detailed eligibility rules for the decommissioning schemes varied from year to year in order to target particular fleet sectors, but in general tenders were assessed on the basis of VCUs removed. 10 However, there was a partial suspension of this rule for new pelagic freezer trawlers until 30 June 2001. 11 In addition no aggregations of beam trawler licences may result in an engine power in excess of 1500kW and no aggregations of 10m and under licences may result in a VCU total of over 100. 12 Under EC law the primary role of Producers' Organisations (POs) is the orderly marketing of fish and the implementation of common marketing rules and standards but they are encouraged to take on resource management responsibility. 13 The management of quota allocations by the various UK producers' organizations has been reviewed by Hatcher (1997). 14 There have been occasions where POs have resorted to Court injunctions against recalcitrant members. 15 A similar mechanism exists within the EU, when a Member State is recorded as having taken more than its share of the national quota in any particular year. 18 In order to try and foil attempts by Spanish interests to gain access to various UK quotas in Area VII, the Government accompanied a restriction on the issue of non-PSLs in 1987 with a ban on transfers between ownerships. In addition, in the previous year a number of key stocks (including hake and megrim in Area VII) had been added to the list of pressure stocks (see note 1). Vessels with non-PSLs having a record of fishing for the new pressure stocks were issued with special "limited pressure stock licences" which were also non-transferable between ownerships. 19 MAFF News Release 445/89, 13 November 1989. 20 (overall length in metres x maximum breadth in metres) + (engine power in kW x 0.45). 21 For the purposes of capacity aggregation the rule that a licence could only be transferred between ownerships while attached to a vessel was relaxed, so that licences from vessels in different ownerships could be aggregated onto another vessel, provided that the owners of the "donor" vessels were at least part-owners of the "recipient" vessel. 22 The notion of "cod-equivalents" was first used within the EC in the early 1980s during the negotiations over international TAC shares. Tonnages of species other than cod are inflated or deflated according to their average market price compared to that for cod.